Wednesday 3:00 - 5:00 Performance Chess and Chess Team Development (2 Groups): While PS 33 continues to enjoy introduction to chess in classrooms.This Group will enjoy advanced instruction, Tournament Preparation and fun filled competition with other teams! Open to all skill levels of chess, by participating in this exciting environment, children will realize short medium and long term goals playing the all important game of chess. From this group will come members of the Chelsea Prep Chess Team who, in past years, have placed in the top 5 in Nationals. ​Wednesday 3:00 - 5:00: Head Start Chess (3 Groups): An exciting introduction to the game of Chess, Students will enjoy small student to teacher ratio, chess art projects, real live games and fun "tournament like" activities. Students receive training according to their individual levels. Head Start is a whole new way to introduce, engage and captivate beginners and intermediate players in the new (yes new) exciting game of Chess. These Students will begin to taste a little, lower pressure, competition too! From complete beginners to advancing tournament players our goal is that all PS 33 players and experience both the joy & significant social/educational benefits of learning and playing chess. Our PS 33 Team will prepare for local, City, State & National Competitions. Beginner, Advancing & Team Groupings. The McBurney YMCA is pleased to offer a free after school program for students attending Chelsea Prep. The Y After School takes place at Chelsea Prep from 2:40 pm – 6:00 pm for children in grades K through 5. 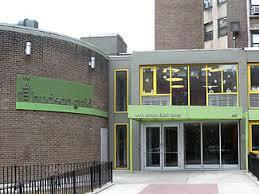 Supported by the NYC Department of Education, all activities are designed to build literacy skills. Students are engaged in hands on activities that are project based, enriching and fun. Some of these activities include arts and crafts, sports & recreation, homework assistance and much more! Serious Fun is a not for profit child care providing specialized arts classes in dance, music, art and drama as well as sports —in addition to homework help, light snacks and active play—as part of a fully licensed after school child care program. Their classes are based on a particular discipline each day, for example, dance days can feature ballet and tap, art days may feature a choice between sculpture and painting, and music days can offer violin and guitar classes. The Serious Fun program is family supported, which allows flexibility: children can enroll for as many days per week that they need care, even if it’s just one day per week. We provide additional child care options to families who may not need or may not qualify for the city funded programs. Please visit www.seriousfunnyc.org for registration information and potential class options. Parks Afterschool students receive homework help, participate in fitness activities, and explore arts & culture opportunities. Parks Afterschool programs complement what children are learning in schools and strengthen their sense of belonging in the communities in which they live. 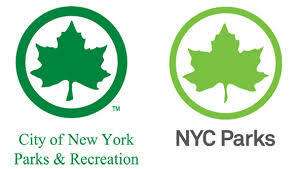 For more information about the Parks Afterschool Program, call (212) 360-3309. To register your child, contact the Chelsea Recreation Center or click here.